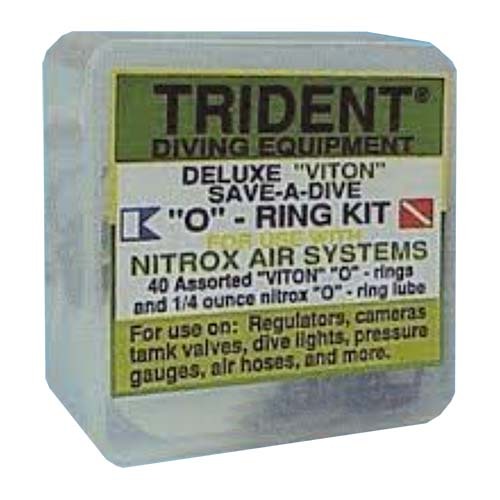 Have a question about the Trident Deluxe Viton Save-A-Dive O-Ring Kit and Lube? Plastic case. Includes 40 o-rings in commonly used sizes and 1/4 oz. O2 lube.